It seems like only yesterday that we were at innovfest unbound 2016, but the 2017 edition has just come and gone! We had the opportunity to share our vision for the role of drones and data in a Smart Nation. 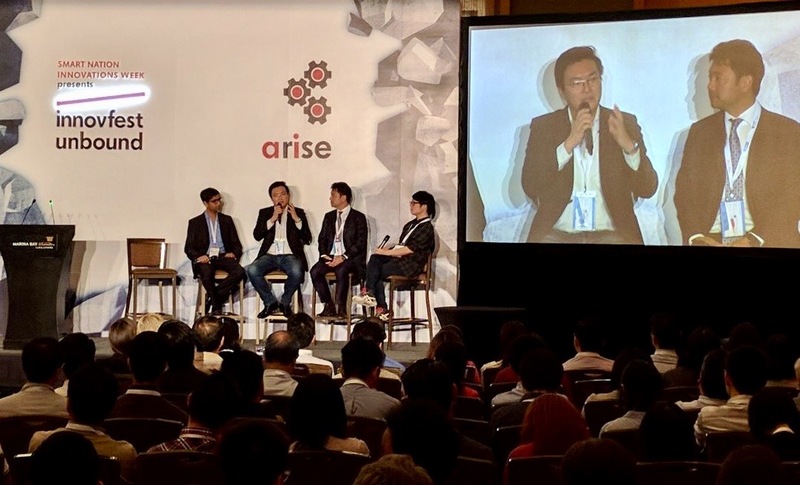 Garuda Robotics was represented by CTO Jiin Joo on an AI and Robotics panel aptly entitled “Robots in Action”, sharing the stage with Astroscale and Movel AI. It was a great opportunity to remind the crowd that the time for robotics is now. Drones and other robots are ready to be deployed in the field and get real work done, especially when it comes to dull, dirty, dangerous and demeaning jobs that people should not have to take on.